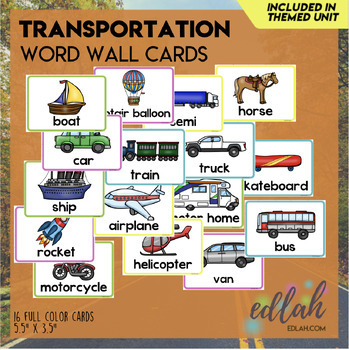 This set of 11 Word Wall Cards will be a great addition to your existing word wall for your transportation theme. These word wall cards measure 5.33" x 3.6". I recommend printing on card stock and laminating for repeated use. 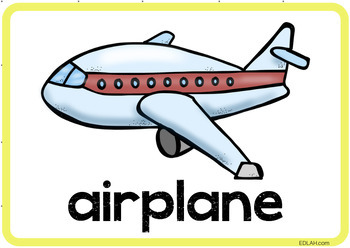 They print four to a page for quick and easy cutting and laminating. This set is Full Color Version only. The same set is also available in a Black & White Versionor if you would like both sets you can get them as part of a discounted bundle. 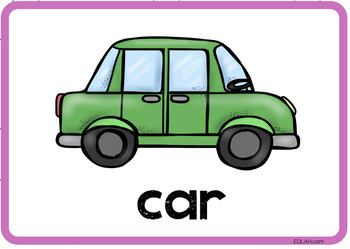 Please note that this set of word wall cards is already included in the T is for Transportation Themed Plans. 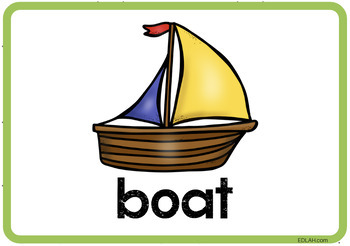 If you plan to buy T is for Transportation, please do not purchases this document. I would hate for you to buy it twice.